Ryval Gas carbon dioxide (industrial grade) is suitable for a wide range of industrial and leisure applications. It can be used for MIG/GMAW welding as a low-cost option, although there are more suitable alternatives which give better welding characteristics and potentially be more cost effective overall. It is also popular in leisure markets, to control pH levels in swimming pools and particularly to propel paintballs. Ryval’s “SMALL” package with 6.35kg of product is the equivalent of over 16 disposable canisters so represents great value for money. 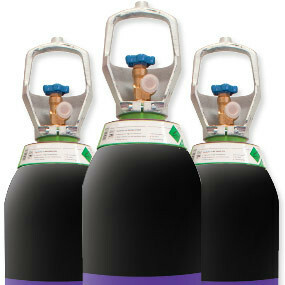 Our CO2 gas cylinders are completely RENT FREE. CO2 is heavier than air and can collect in ditches. As an asphyxiant and toxic in high concentrations, it must be used in well-ventilated areas. Mig Shield gases will be better for MIG/GMAW welding.